I love a relaxing holiday. I used to like to be a bit more adventurous on my travels but these past few years have felt so hectic that I’ve been desperate to to go somewhere where I could just sit back, relax and switch off from all the madness. However that’s not exactly Mr T’s cup of tea, which is why I was so stunned when he announced he had booked us a surprise trip to celebrate my 30th birthday where we could just relax. In the weeks leading up to the trip I was drip fed small hints about where we would be going, things like it was going to be windy so I would need some sort of cover but it would average 30 degrees in the day, that our destination wasn’t an island but it was in the middle of nowhere and the final one which really stumped me; that it was a country neither of us had been too? By the time we were due to leave I was dying to know where we were going, packing had been a bit of a nightmare, but I couldn’t wait to get to that airport to find out where I would be spending my 30th. At first I thought I would find out at check-in but can you believe there was no destination on the screen, just the tour operator. I saw a sly grin appear on Mr T’s face when he realised he could keep me hanging on just that little bit longer. In fact it wasn’t until we were on the flight and the pilot made his announcement did I find out that we were going to be spending a week in Cape Verde and OMG was I excited. A whole week of doing nothing but sunning myself, reading and listing podcasts – paradise! Let me start by telling you how beautiful Cape Verde is! The most gloriously blue sea surrounds a dramatic landscape of sandy deserts and rocky mountains, at times I wondered whether we had accidentally landed on Mars as it could easily have been the set for a Star Wars film. Made up of 10 islands, we stayed at the Hotel Riu Touareg on Boa Vista. The hotel was by far one of the most unusual I had ever seen as it looked like a giant sandcastle from the air. With its own private beach, 2 swimming pools, a spa, 5 restaurants and loads of bars it has everything you need to make sure you stay is super relaxing. And relaxing it was for the first few days until I had read both my books, (I read Me Before You by Jojo Moyes and Small Great Things by Jodi Picoult if your interested?) and listened to all the Sophia Amuruso podcasts that I had downloaded. So by day 4 I had to do something else. At first we weren’t sure we were going to be able to find an awful lot to do, turns out one of Mr T’s hints that had turned out to be true was that we were indeed in the middle of nowhere. Well it turned out this holiday was going to be full of surprises as we soon discovered there was a whole world of fun things to do beyond those hotel walls some of which we managed to fit in during our stay and others I will be sure to do when we go back. So if like us your looking for some adventure on your relaxing holiday here are 7 fun activities to try. Generally to get anywhere in Boa Vista you will need to be with a tour guide and in a 4 x 4 as the roads are still pretty much old dirt tracks and cobbled roads, but don’t let this stop you. Our tour group was pretty small so it didn’t feel too ‘touristy’ and the guides were really accommodating ensuring they gave you enough time to take photos and discover. The shipwreck is a Spanish freighter called the Cabo Santa Maria which unfortunately run aground in the sixties. Although quite eerie, the views were extraordinary and great for photo opportunities. 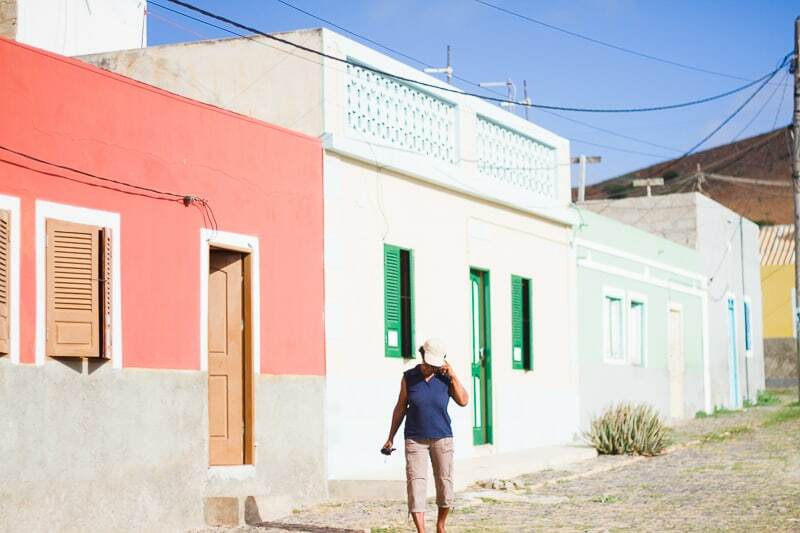 All over Boa Vista there is a world of color to be explored, brightly painted houses, shops and churches – its a color lovers dream. I certainly couldn’t pass up on the opportunity to take photos when we passed through the small village of Bofareira. If we were to ever go back I would be sure to visit Sal Rei and Rabil too, as these are the capital of color! On our trip we were fortunate enough to be able to visit a local school. This was probably my most prominent moment of our trip. The poverty in Boa Vista is fairly evident, the village we visited had a school which was made up of one class room which taught children of all ages. The whole village only had electricity for a few hours a day and that was mainly to accommodate the schools opening times. Nevertheless the kids seem eager to learn, they turned up to school the day we visited even though their teacher was unable to make it in. What kids do you know that would do that here? I was struck by how happy they were, naughty, mischievous, typical kids despite their hardships. We all brought along some fruit and there was a donation box where you could give money to help buy books and other learning materials for the kids. If we ever visit again I will be sure to get extra luggage allowance so we can take donations with us. The main motto of the people in Cape Verde is ‘No Stress’. I loved not being hassled to visit the souvenir shops, in fact we went into one and had to send a local kid to get the owner as he had left the shop unattended and we wanted to buy something before our tour group left. We left with a beautifully carved wooden turtle and a colorful hand painted necklace. Whilst visiting the school we took some time to just sit and soak in the local culture. You could hear the children playing in the school playground, whilst the older people of the village sat in their doorways and chatted with their neighbours, others sang and played guitar. Although obviously poor this life was simple and that meant they found joy in the simplest of things. A motto I have been determined to take along with me every day since we left. This isn’t a tour as such more like a pit stop but it was too good not to mention. On our way back from visiting a church in Fundo das Figueiras we stopped on a old cobbled road, where the tour guide made a passing joke about people being afraid of spiders. Being pretty terrified of them myself I nervously laughed it off and got off the bus only to look up and be greeted with the site of millions of common Wasp Spiders in webs just above our heads. It was like a scene out arachnophobia but I put my naturist head on for a few minutes to take photos and it was one of the most memorable moments of our time in Cape Verde. Unfortunately this was one of the things we were unable to do but will be on the top of our list if we ever go back. After seeing turtles hatch in Borneo many years ago it is something I am desperate for Mr T to experience as they are his favourite animal and I know he would love it so much. The best time to do this in Cape Verde is between June to September so if you are there then, be sure to take advantage. The turtles are protected and the tours are conducted by trained guides to ensure nothing is disturbed so it is the perfect opportunity to witness a truly magical experience. Have you been to Cape Verde? What was your experience? Do you have any fun activities to add to this list? Tell us in the comments below.